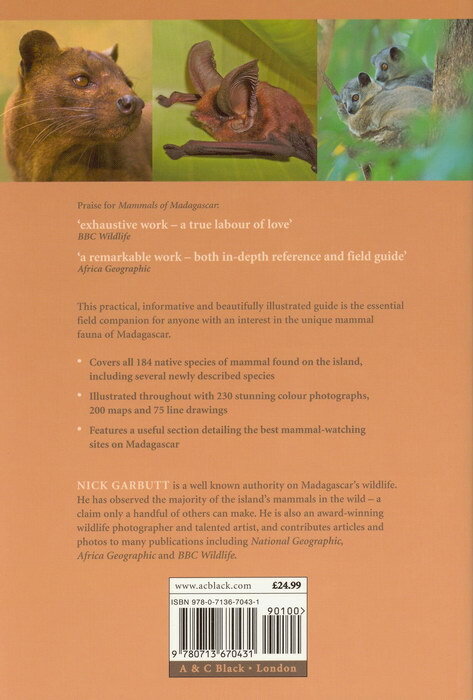 A comprehensive guide to all the mammal species living in Madagascar, each with a description of its appearance and behaviour, habitat details, information on the best places to see it, as well as distribution maps and photographs. The work is based in part on a 1999 work of the same name and by the same author. However, developments in this field have been so extensive in the intervening eight years (the number of described species increased by a staggering 50% during this short time) that it is, in effect, a complete re-write. This practical, informative and beautifully illustrated guide is the essential field companion for anyone with an interest in the unique mammal fauna of Madagascar. 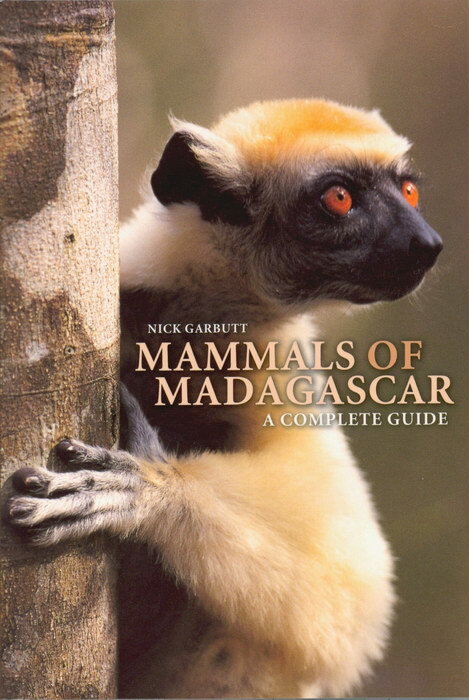 Nick Garbutt is a well known authority on Madagascar's wildlife. He has observed the majority of the island's mammals in the wild � a claim only a handful of others can make. He is also an award-winning wildlife photographer and talented artist, and contributes articles and photos to many publications including National Geographic, Africa Geographic and BBC Wildlife. Further, the past 16 years has seen a corresponding surge in the volume of research being carried out within the island's forests, wetlands and other natural habitats. Even by the early 1990s there were still only a relatively small number of species that had been studied in any detail and for which anything other than scant information was available. Most research concentrated on the higher profile (and relatively accessible) lemurs that were without question the island's flagship species. Since then, gaps have been filled at an ever-increasing rate. Lemurs undoubtedly remain the island's best studied group, and there has now been field research looking at members of every genus � many of these have turned into long-term investigations. Research into Madagascar's carnivores, insectivores, rodents and bats has also gathered considerable momentum. In particular, a programme of detailed biological inventories covering forests primarily in the east e.g. Marojejy, Anjanahasibe-Sud [sic], Masoala, Andringitra and Andohahela, but also latterly in the south and west e.g. Zombitse and Mitea, have added greatly to our knowledge of the distributions and ranges of these smaller mammals. This increased knowledge has led to the recent publication of some landmark volumes perhaps most notably The Natural History of Madagascar, Goodman, S.M. and Benstead, J.P. (eds), The University of Chicago Press, Chicago, USA., a collection of essays and reviews covering a huge range of subjects and aspects of the island's biodiversity from soils and geology to botany, invertebrate zoology, vertebrate zoology, conservation and land management. The chapter covering the mammal fauna is particularly comprehensive and informative. However, even a volume of this magnitude serves to highlight how many gaps in our knowledge still exist. For instance, since its publication in 2003 no fewer than 35 new mammal species have been described (two rodents, two insectivores, five bats and 26 lemurs) and a number of micro-mammals (bats, rodents, shrew tenrecs) that have already been collected still await formal description. What is more, this is a trend that seems certain to continue as scientists begin to investigate isolated patches of forest for the first time in some of Madagascar's remotest regions. In this volume I have tried to incorporate all the latest information and make each species account as up to date as possible. Comparison with the original Mammals of Madagascar (Pica Press, 1999) will highlight how far knowledge has moved on. Yet, what is presented here remains far from complete and in some cases will become outdated relatively quickly. Nonetheless this concise synopsis should prove a useful and informative guide for those wishing to discover more about one of the most fascinating and unusual mammalian assemblages on Earth. How Did Mammals Get to Madagascar?